Overall view of the World War I memorial, at the building's southeast corner. 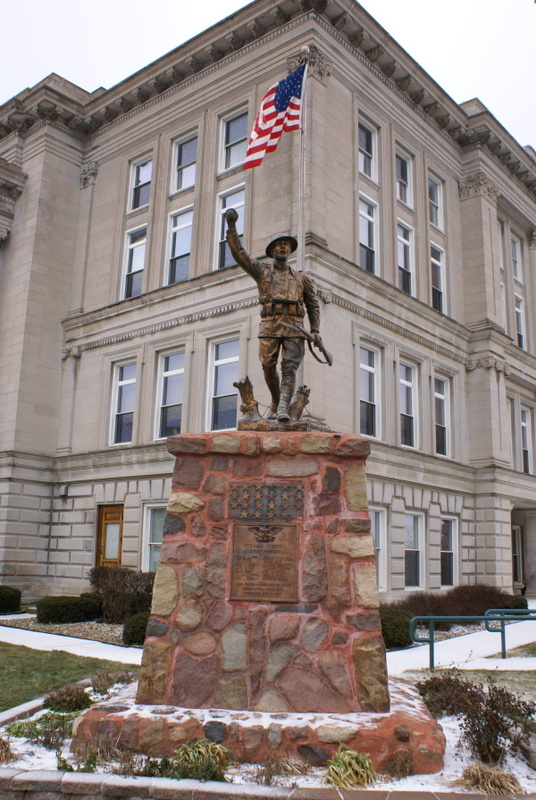 The statue is a Viquesney "Spirit of the American Doughboy" statue and was unveiled Sunday, November 20, 1927. It was billed as "a daily reminder to us of the relaxation of this nation from the tension of war."